How long shall thy vain thoughts lodge within thee?—JER. 4:14. In these words the compares the heart unto some house of common resort, made, as it were, with many and large rooms to entertain and lodge multitudes of guests in; into which, before conversion, all the vain, light, wanton, profane, dissolute thoughts that post up and down the world, as your thoughts do, and run riot all the day, have free, open access, the heart keeps open house to them, gives them willing, cheerful welcome and entertainment; accompanies them, travels over all the world for the daintiest pleasures to feed them with; lodgeth, harbours them; and there they, like unruly gallants and roysters, lodge, and revel it day and night, and defile those rooms they lodge in with their loathsome filth and vomits. 'How long,' says the Lord, 'shall they lodge therein,' whilst I, with my Spirit, my Son, and train of graces, 'stand at the door and knock,' Rev. 3:20, and cannot find admittance? Of all which filthiness, &c., the heart, this house, must be washed: 'Wash thy heart from wickedness.' Washed, not swept only of grosser evils, as, Matt. 12:43, the house the unclean spirit re-enters into is said to be swept of evils that lay loose and uppermost, but washed and cleansed of those defilements which stick more close, and are incorporated and wrought into the spirit. And those vain and unruly guests must be turned out of doors without any warning; they have stayed there long enough, too long: 'how long?' And 'the time past may suffice,' as the Apostle speaks; they must lodge there no more. The house, the soul, is not in conversion to be pulled down, but only these guests turned out; and though kept out they cannot be, they will still enter whilst we are in these houses of clay, yet lodge they must not. If thoughts of anger and revenge come in the morning or daytime, they must be turned out ere night: 'Let not the sun go down upon your wrath,' Eph. 4:26; for so you may come to lodge yet a worser guest in your heart with them. 'Give not place to the devil,' for it follows, who will 'bring seven worse with him.' If unclean thoughts offer to come to bed to thee when thou liest down, let them not lodge with thee. To conclude, it is not what thoughts are in your hearts, and pass through them, as what lodging they have, that doth difference your repentance. Many good thoughts and motions may pass as strangers through a bad man's heart; and so likewise multitudes of vain thoughts may make a thoroughfare of a believer's heart, and disturb him in good duties, by knockings and interruptions, and breakings in upon the heart of a good man; but still they lodge not there—are not fostered, harboured. My scope in our ordinary course is, to discover the wickedness and vanity of the heart by nature. In the heart, we are yet but in the upper parts of it, the understanding, and the defilements thereof, which are to be washed out of it; and the next defilement which in my broken order I mean to handle is that which is here specified, THE VANITY OF YOUR THOUGHTS. For the discovery's sake of which only, I chose this text as my ground; that is it, therefore, which I chiefly insist upon; a subject which, I confess, would prove of all else the vastest. To make an exact particular discovery of the vanities in our thoughts, to travel over the whole creation, and to take a survey and give an account of all that vanity abounds in all the creatures, was, as you know, the task of the wisest of men, Solomon; the flower of his studies and labours. 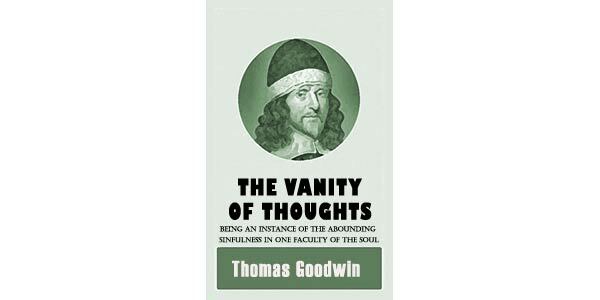 But the vanity of our thoughts are as multiplied much in us; this little world affords more varieties of vanities than the great. 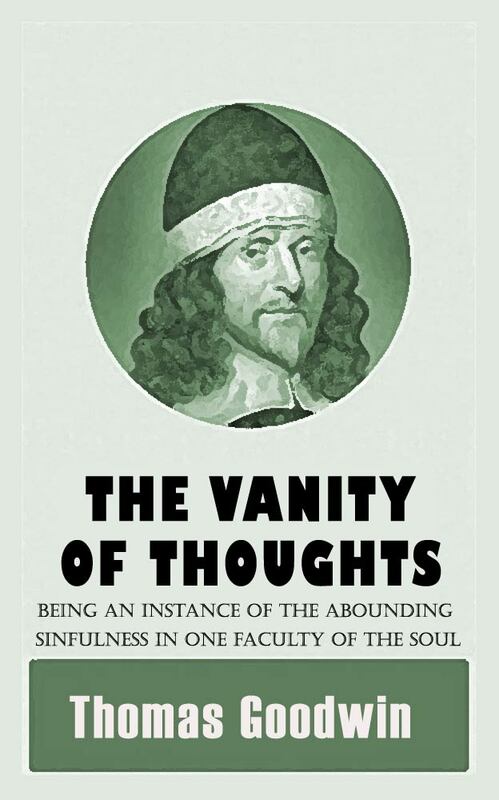 Our thoughts made the 'creatures subject to vanity,' Rom. 8:20; therefore themselves are subject to vanity much more. In handling of them I will shew you—1. What is meant by thoughts. 2. What by vanity. 3. That our thoughts are vain. 4. Wherein that vanity doth consist, both in the general and some particulars. I. What Is Meant by Thoughts? IV. In What Does This Vanity Consist?